Heading north from Penn’s campus along 40th Street, it’s really striking to observe the number of buildings that have arrived on the scene over the last several years. 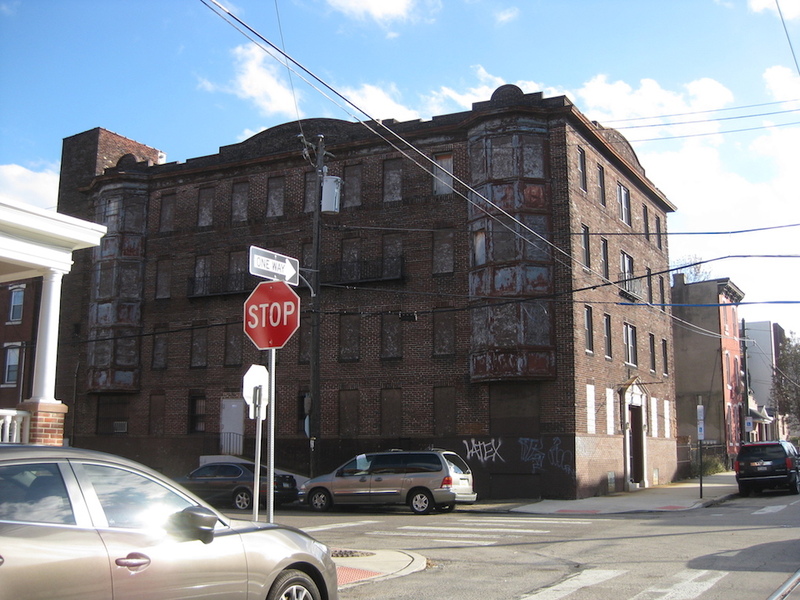 Turn back the clock less than a decade and there was next to nothing in West Powelton in terms of development. Today though, there are countless new buildings here, with the transformed 4000 block of Baring Street serving as an extreme example of what’s happened on surrounding blocks. 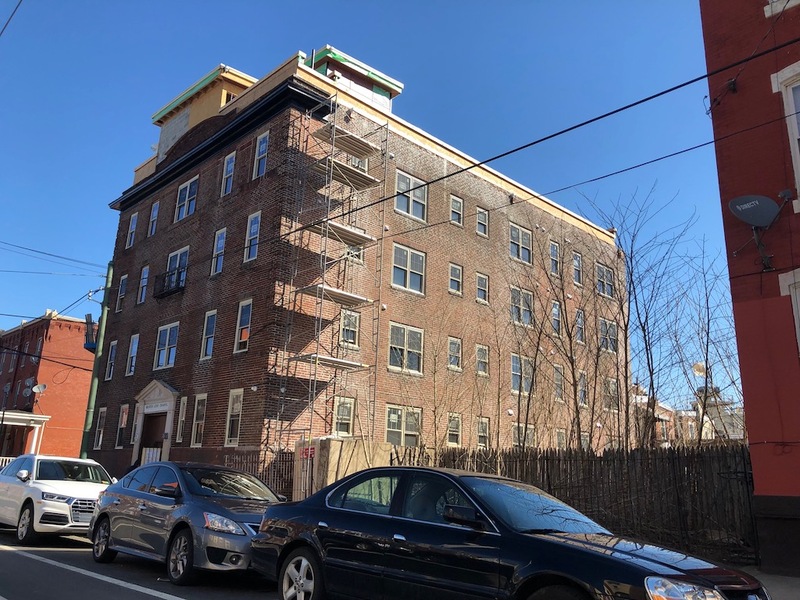 Through all of these changes, the building at the southwest corner of 40th & Spring Garden has sat vacant, practically crying out for redevelopment. We first brought this property to your attention back in 2014. At that time, we noted that the building had originally been built as apartments but the Greater Love Chapel took over sometime in the 1980s. Based on the building’s appearance, we can say with some certainty that the church cleared out of the building sometime before 2007 and it was sitting vacant ever since. When buildings with great bones sit empty for a long time, it’s reasonable to worry that they’ll experience demolition by neglect, so we were concerned that the building would get torn down instead of undergoing renovations. 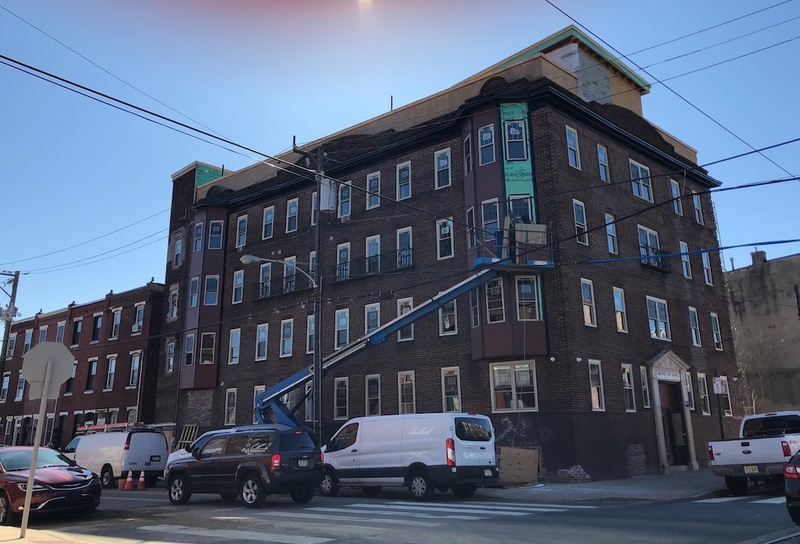 Fortunately, around the time that we wrote our story about the property, developers purchased it with the intent to preserve the building and bring it back to its original use. It would be fair to assume that this project is long finished since we told you about it almost five years ago- but it’s only really getting started now. 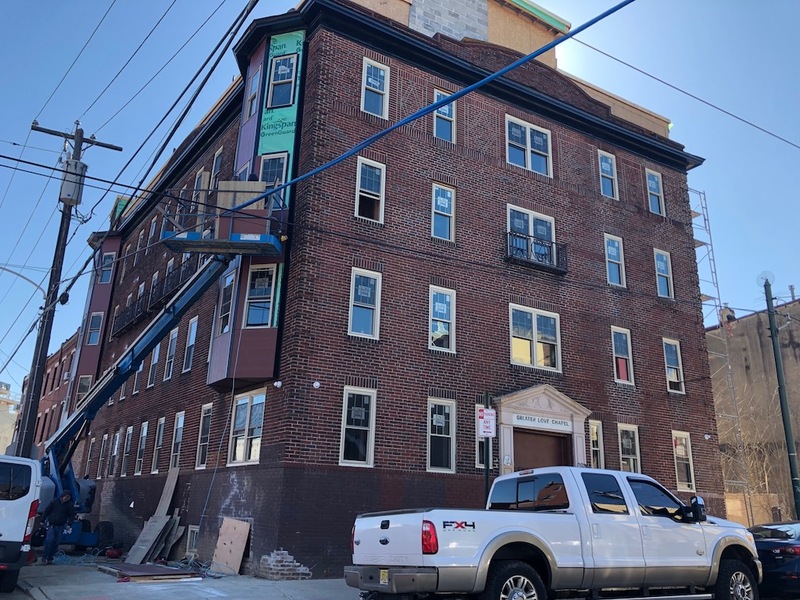 Looking at the permits, we can see that the developers are converting the building into 19 apartments, which feels like a good number given the building’s 13K sqft size. Well, there’s also a 5th floor addition as part of the project, so you can probably add a bit to that square footage number. We do see that the property had to go to the ZBA a couple years ago to get permission to build a 2nd stair tower, likely a fire code requirement that didn’t apply when the building was constructed a hundred years ago. Delays aside, we’re incredibly cheered that the project is finally moving forward and that this building will be coming back into active use. Especially with all the other projects nearby, this building was serving as a sad reminder of longtime disinvestment in the neighborhood. Fortunately, the reuse of the building will provide a nice living space for future residents while linking to the area’s history. it feels like a good number? not sure that’s the right word. not accounting for hallways and other space, that’s 684 sq ft per unit. They’ve really done a number on those bays. Something tells me all that embossed ornament that made up the original won’t be returning, because, well something has happened to mankind. That the building is being rehabbed at all, even through it took a long time to to start the process. The original tin facade on the bays was probably awesome. The problem is that there is no process in place to incentivize or mandate that it be restored/replaced in kind. I understand the desire to incorporate a headhouse . My guess is that it will be architecturally incompatible. The sightline it created, when viewed from grade, leaves something to be desired. The white window jambs, though less expensive, stick out like a sore thumb. Given the effort to match color on the bay window facades, couldn’t a more compatible jamb color have been chosen?